So you think the world of politics is exciting and you can change the world? Obviously, if these legislators just heard my thoughts and ideas, they would see how simple my legislative ideas are to implement. Unfortunately, there are other lobbyists doing the same thing with much different ideas and ideals. Legislators are continually pulled and pushed in many directions, often because they need to keep happy large-money contributors and follow the party caucus ideals. Though it seems like an impossible task to make a difference or change a vote, not all hope is lost. Nothing is more important to a legislator than getting re-elected and not damaging their relations with the majority of voters. Sometimes ,they may stray a little away from party ideals and their donors to satisfy their constituents. Having a grassroots approach by many people with the same concerns can sway a legislator into voting your way. Sounds simple, but it takes an enormous amount before and during the legislative session. In the late summer and early fall, state legislators from both parties are put on study committees to look at policy and ideas they want to turn into public policy. Ideas are discussed, presentations are made and public testimony is taken. The party in power controls these meetings and presentations. The study committee usually meets three times to discuss and fact find on the issues. These discussions give groups and the public the opportunity to see what potential policies will be brought forward the next legislative session. This gives some time for research and finding reasons why they support or oppose the proposed legislation. 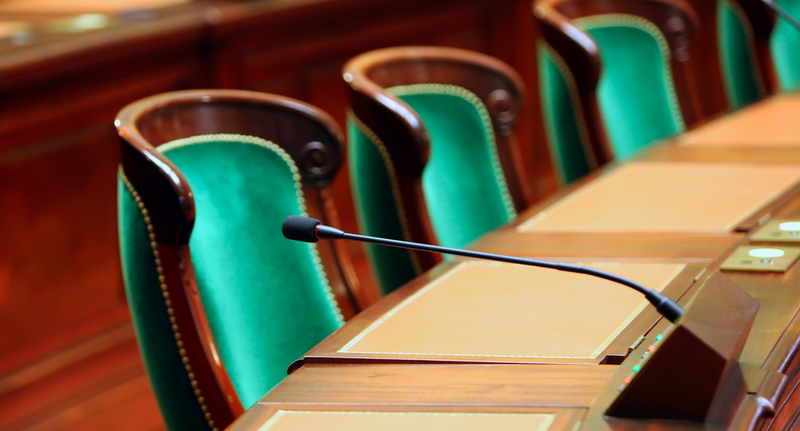 Late fall and early winter it is a good time to approach legislative members who sit on the committees where your bills might land. They are relaxed and willing to listen and discuss. During session, they will be dealing with multiple bills and issues. In session, each house may be wrestling with more than 400 bills that could become law or policy. Everyone is pulling at them and wanting their time. They are inundated with calls, emails and letters. The more controversial the topic, the more time and communication are sent to them. They primarily want to hear from their constituents. That is why contact from IRTA members (personal emails, letters or calls) make a difference. However, form letters are a big no-no. Sending out “talking points” and background information on the proposed legislation helps get their attention. The grassroots approach is the most effective way to sway legislators and their votes. As a lobbyist, we must engage our members constantly. We also have to attend hearings, talk to committee members and watch for amendments. We also testify in committees on the bills, talk to the friends on the committee to find out the feeling or concerns fellow legislators might have on the bill. It is easier to get changes made to our bills early in the session while legislators are still in the first committee. Each preceding step gets incrementally harder to make changes, but not impossible, especially if the bill had bi-partisan concerns. A bill that flies through unanimously or by party lines will probably get through without a lot of change. Testimony from experts or those being directly affected help with legislators with their decisions. Once a bill reaches the full House or full Senate, it is strictly in the hands of the legislators. You may talk, write or meet with them about your concerns, but no more public testimony is taken. Your fate awaits as the bill goes through second and third readings. You are hoping that an amendment is added or a section that you oppose is pulled. Once a bill passes, it moves over to the other legislative side and the process begins again for a few short weeks. Changes become harder since it passed one house. Once the bill passes the other house, it is pretty much assured it will become legislation, upon the governor’s signature. Your time at the office writing, researching and communicating with members is interrupted by going to legislative committee meetings, preparing testimony, meeting with key members and planning strategy. You may spend the whole day at the Statehouse for a brief three-minute testimony or to be stood up by a legislator that needs to reschedule your appointment after you made the trip down to the state house to specifically talk face to face with them. On one day, you can be elated that a bill you supported passed unanimously. The next day, you can become totally frustrated. Another bill might have concerns, or a bill you supported doesn’t move out of committee. It’s a roller coaster of emotions and accomplishments. The fun part is strategizing to work the system and get your legislation through or to stop the legislation that could be harmful to your members. You need to maintain professionalism, be courteous, respectful and polite when meeting or testifying - no matter how your legislation turns out. During the odd years in Indiana, legislators meet from January through April to pass legislation and to pass a state budget. It is referred to as the Long Session. During the even years, the legislature meets from January through mid-March for a Short Session to pass legislation. This year is a short session. The midpoint of the session has just passed and legislation has switched houses that passed the first house. Committee hearings are starting up and soon bills will be getting second and third readings as they go to the full floor. By March 14, you will know if your legislation made it through and how it was changed. If you are fortunate, you are only tracking a few bills. Nearly 800 bills were submitted in January, there are under 400 bills still alive after the midpoint of the session. The majority of these bills will become policy or law by the end of the session awaiting the governor’s signature. After session, many paid lobbyist stay busy going to fundraisers and golf outings to stay connected to their key legislators. Many paid lobbyist work on the behalf of multiple groups and associations at the state level. They also begin planning what legislation their groups wish to promote in the next legislative session. Others who lobby as just part of their responsibilities for their association go back and perform their other job duties as they begin to put their legislative wishes together. It is a much more relaxed time and not nearly as manic as the legislative sessions.